Every year I drive thousands of miles across Europe and clash with various driving cultures and organisation of traffic. I dare say that, so far, the best system of traffic is in Germany where the combination of behaviour, rules and infrastructure makes driving predictable, fast and, ultimately, successful. In South Eastern Europe the situation is precisely the opposite - driving is tense, rules are often ignored, they themselves are unclear or inappropriate. Stress is huge (to a various degree, of course) and, ultimately, the trip is nervous and reduces the success rates of the final objective. And it is wherever you are going to be able to do your job in the best possible way. Why has Germany established such a successful model of traffic organisation which allows speed limit to be lifted and despite that to ensure full harmony among the thousands participants in it? Part of the answer is in the pedantic training of drivers who are taught to take multiple factors into account at once. The fact that you drive an expensive car does not grant you the right to behave in an authoritarian way with the rest of the participants in traffic. The limits and signs are put not always with an obvious purpose for everyone but there is analysis behind it and people generally trust the assessment of the institution that puts them. Everyone can join the left lane to overtake no matter what kind of a car they are driving, whether they are rich or poor or a politician. Solidarity is impressive as well as the level of trust among participants. Second comes infrastructure which now barely absorbs the traffic but is constantly being expanded. The quality of the surface is suitable for the driving culture. The rules are logical and do not confuse. Another reason is that a majority of German citizens share the same system of values. I myself wondered many times how is it possible to create such a system because, as a person coming from Bulgaria where rules are being violated by most of the people I came to the conclusion that states can be classified on the basis of how their traffic is organised. Where traffic is chaotic, rules are systemically violated and law enforcement bodies are corrupt you can be sure that that culture is spread across all other levels of the state - economy, society, politics. I spoke with a German recently about this and he explained the phenomenon with Germans' dislike for surprises. They love predictability. That is why they seek to do everything in such a way that the outcome is foreseeable and expected. He was not quite sure whether this is the best approach but what is the alternative? How does Greece match in this context? 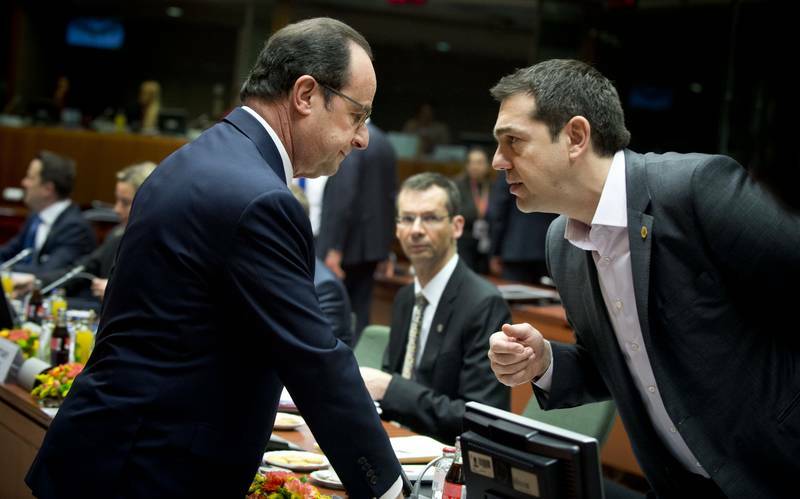 Let us apply this model over the negotiations with Greece. A country which suffers of disregard for its own rules. A country which is situated in the Balkans and bears in itself a dense concentrate of the typical for that region culture of disrespect for rules. They are considered in that region as something that erodes masculinity and individuality. The more rules you break the more valuable and respected you are by the rest in society. This raises you above the law and makes you something more than the others. In that region rule of law is something alien and incomprehensible. To the people in the Balkans petty corruption is completely natural and no one makes a connection between it and bad economic performance or problems on the road. 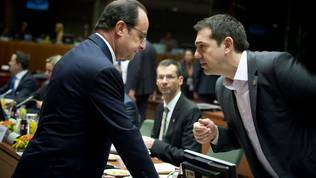 The entire dispute between Greece and its creditors is based not on economic factors but on purely political realities. Germany finds it hard to understand how is it possible someone to had broken systemically the rules, to ask to borrow more money and to be incapable of offering a clear plan to pay it back, whereas Greece cannot understand why does someone want it to do something in exchange for the loan. Germany does not understand why is it the bad guy simply because it wants to play by the rules and those who break them are all of the sudden the victims. Naturally, in the entire cacophony you will hear many economic facts and the frequent mentioning of the word austerity but the crisis is entirely political. 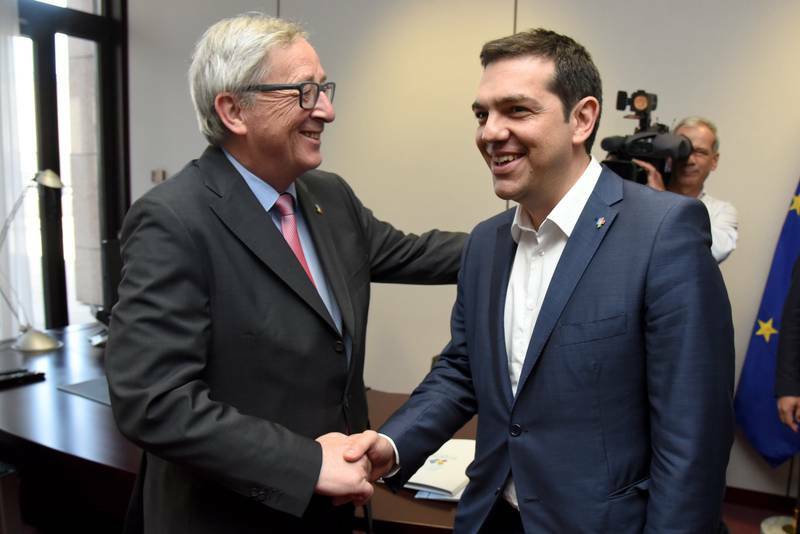 The creditors (in their larger part European institutions and governments) insist on the Greek government's responsibility not only for its own electorate but for the voters in the other EU countries who have funded for decades Greece's transition from military dictatorship to a European democracy. A transition which is obviously not over yet. In exchange, they get the typical Balkan arrogance with no equivalent. This is a genuine clash of values which undermines the foundations of the EU itself and the euro area in particular. It is a delusion to speak in a scientific way about the economic situation which is the result of poor political governance. The country's problems are not recent. Greece joined the EU in 1981 just a few years after a military dictatorship. The reasons were geopolitical. Enlargement then was based on much looser criteria. With the years and experience EU has tried to tighten the rules but accepting on trust and with geopolitical arguments has created tensions within the Union. The error has been multiplied with further enlargements when the Union swallowed countries that do not understand what rule of law means and why rules are necessary. Countries with arrogant driving culture, poor road infrastructure and low level of confidence among the people. 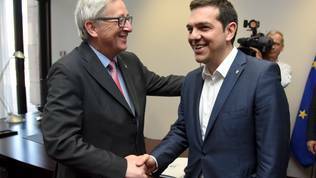 The current stalemate in the negotiations between Greece and its creditors is not the result of a clash of different economic believes or ideologies. It is the result of a clash of values. That is why it is quite superficial to claim that a Grexit would have severe consequences for the eurozone and the EU at large. In the end of the day, too many compromises were made with EU rules and values so a possible exit of a country because of its conscious refusal to accept these rules and values would rather help the Union recover and will restore confidence in it. EU needs the harmony of the German traffic - such a high level of trust that allows the various participants to drive as fast as they can while in the same time respecting the rest and allowing them to join the traffic on an equal basis. Everyone who breaks the rules takes the responsibility because, ultimately, this is a matter of life and death. Road traffic, just like a state or a supranational structure like EU, is a living organism where waywardness creates risks, slows its development down and, in the end, takes it to a decline. We can argue a lot whether Germany has chosen the right economic model but t here is no doubt that whatever a model is agreed it will only work in an environment of rule of law, mutual trust and respect. Greece is long past the stage of ideological disputes. Its condition is such that it requires a cultural revolution. The government negotiates with the creditors but not with its own citizens to explain to them the real condition of the country and that any solution would hurt. Instead, it is hiding behind voters who are much less informed than the government. This is nothing close to democratic. The Greek government is expected to take responsibility of the kind never taken so far and after which there will be no winners. It will be painful for everyone. But if reforms are done after a debate and agreement in society this will put the country on a new path. If that responsibility is not taken the entire country will lose, not just the ruling parties. EU is a voluntary union of states that share common values. The dilemma whether to support at any cost a government just because something worse can come after it is harmful for the EU. Millions died for the European values. Let us not forget that these values are enshrined in Article 2 of the founding treaty of the EU. They are not an appendix or a complement. They are a foundation. How come avoiding a default is more important? "In exchange, they get the typical Balkan arrogance with no equivalent"
It seems, it is so easy for you to you fall for stereotypes about the region you were raised in. Strangely enough, you don&apos;t fall for the stereotypes, following Germany&apos;s fascistic history, nor the the facts about export of corruption of the german corporations to both your and my country. We, here in Greece, have also a lot of "Greeks" ready to follow stereotypes, if payed enough to do so and a lot of them call themselves journalists as you do, I guess. Unbelievably bad piece of journalism. A collection of unfounded stereotypes. A stream of statements without a single piece of evidence to support them. Journalism at its lowest populist level. Greece is in financial trouble because various Greek governments thieved the country, managed finances badly and the GFC. My experience of Greeks is that as individuals they are very good financial managers, regardless of their driving habit, where traffic incidentaly flow very very well. On the other hand Germany was forgiven for its World War II debt. Their trouble was that they KILLED people and DESTROYED most of Europe. They may have been very organized and followed rules in the process, but in the end they LOST the war. I know who I like better.